This is the perfect treat for two - the recipients will experience the Tea Lounge by Dilmah, the first of its kind within the UK. The Tea lounge by Dilmah sets a new standard for Afternoon Tea with an inspiring ambiance and innovative tea and tea based drinks as well as carefully crafted savory and sweet. 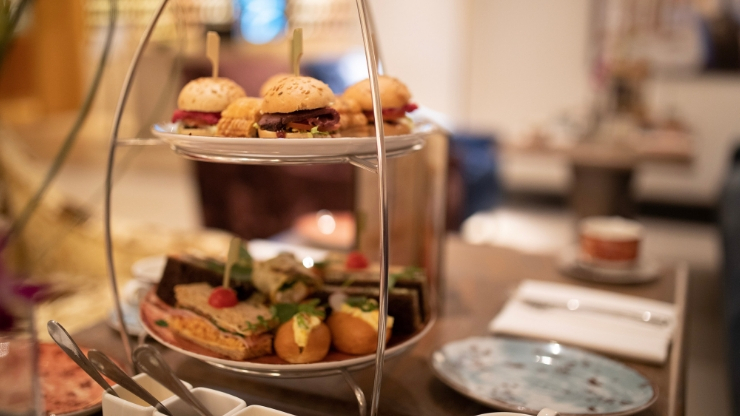 The Tea Lounge by Dilmah, the first of its kind within the UK, offers visitors an inspiring ambiance with uniquely healthy and innovative tea and tea based drinks as well as an exciting Afternoon Tea experience and light bites. The bearer of this gift voucher will enjoy a Dilmah Afternoon Tea for Two £49. This voucher features a unique reference ID code, may only be redeemed once, may not be exchanged for cash, replaced if lost and is non-transferable. Change will not be given for vouchers. Please quote the gift voucher ID reference when reserving your experience with the hotel using the contact details shown on the certificate. Subject to availability. The gift voucher must be presented upon arrival when redeeming the experience. No photocopies will be accepted. Advance bookings are necessary. Cancellation of a booking with less than 24 hours notice will render the voucher null & void. Hilton Glasgow are not liable for any vouchers re-sold through a third party. Vouchers can be extended at the discretion of Hilton Glasgow and at a small cost. Terms & Conditions are subject to change.